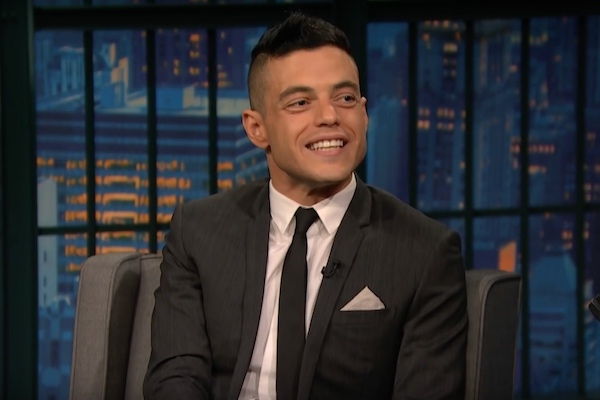 Rami Malek, who stars as Freddie Mercury in the upcoming Queen biopic “Bohemian Rhapsody,” unexpectedly went viral after he declined to record a video for a fan. According to Vanity Fair, 19-year-old fan Xan Black bumped into Malek on the street and started recording their interaction. Black asks if Malek would record a video for her friend and Malek says no but offers to take a picture instead. When Malek reaches to take the photo, he discovers that the conversation was recorded. Black posted the video on Twitter writing “This is probably the most embarrassing thing to ever happen to me.” The video has received more than three million views. Malek told Vanity Fair that when his publicist told him about the video he was afraid of what he would see. Malek says he has no problem taking photos with fans he just wants to know what’s going on first. “I am happy to take photos with anyone. I just want to be aware of what people are doing in the moment. When someone films you automatically, it’s a bit intrusive,” Malek says.